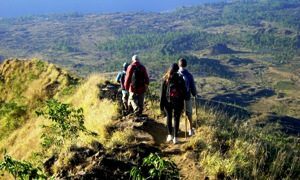 Mount Batur Sunrise Trekking is one of favorite trekking adventure in Bali, overlooking the sunrise from the peak of the Volcano is very awesome. 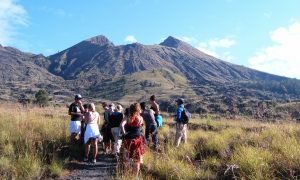 Trekking to Mount Batur will start by leaving Panelokon Kintamani. Mount Batur is located 1.717 meters above sea level. it takes approximately 2 hours to the peak of Mount Batur. Go up at 04.15 am and reached the peak at 6 am in the morning, while enjoying a cup of coffee we wait the rising sun from the east. followed by a round trip down the crater and arrived later in a cave inhabited by a herd of monkeys. At the peak, we can see the view of the three nearby mountains, Mount Abang, Mount Agung, and Mount Rinjani in Lombok. After hiking, we will take you back to the hotel. 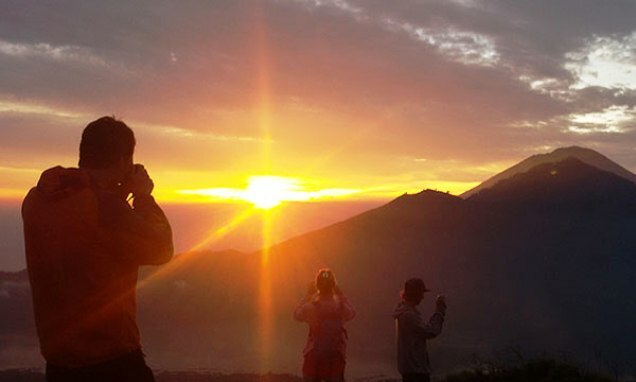 06.00 – Enjoy sunrise on the peak of Volcano while having breakfast. 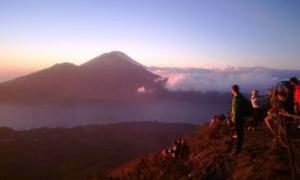 06.30 – Enjoy the volcano view and surrounding. 09.00 – Finish tour and back to hotel. Remarks : Breakfast will be served featuring our special volcanic steamed eggs. We just prepared breakfast with steaming eggs at the top of volcano, you can request breakfast box at the hotel if needed. 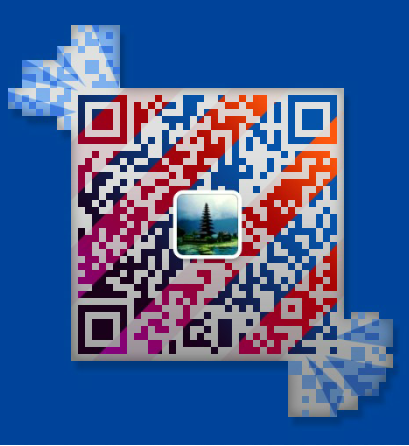 Sport shoes or hiking shoes, Long pants, Digital camera, Hat. Minimal 2 pax to join. Max. 6 person to join. More than 6 person please contact us immediately. Inclusion : Air-Conditional Private Car (No join), English Speaking driver, Petrol. This entry was posted in Tour Packages and tagged trekking. Bookmark the permalink.